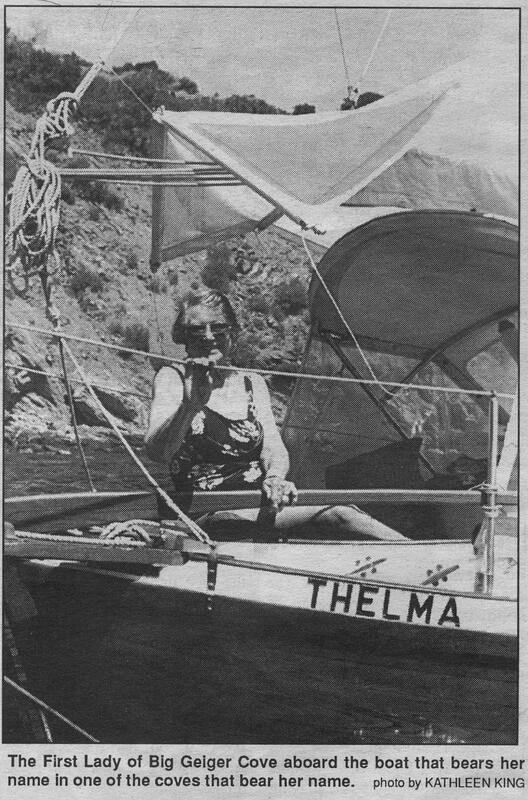 Thelma Geiger on the second Geiger family boat, the “Thelma,” in Big Geiger Cove. This double-ended cutter, built by George from a teak whaleboat hull, was used primarily by George and Thelma from 1967(1968?) into the mid-1990s. George died in 1992, and Thelma sailed her namesake boat to Catalina, with help of her children, for several more years before donating the boat to Scouting.